Translated in over sixty languages, Tolkien's books have deeply marked the imagination of millions of readers throughout the world. However, in a period of triumphant Hollywood blockbusters, part of the mystery may be fading away, something that is attached to a unique type of literary creativity. This documentary goes back to the origins of this tremendous creation and, at the same time, it is an opportunity to rediscover the surprising personality of its author. 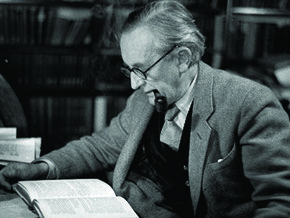 Who was this quiet and scholarly man who taught languages and old English literature at Oxford? How was this gigantic project born? Going back and forth between ordinary reality and an immaterial and fabulously rich reality, the story offers to reveal the meaning of Tolkien's life as a marvelous adventure of the mind.